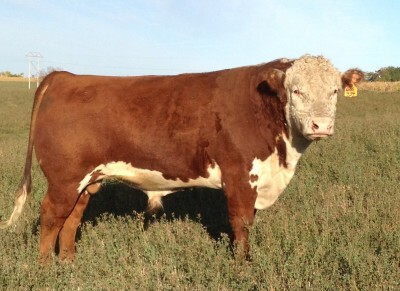 JB Prince of GM1098 58 (43583007): A son of GML1 1098 and our 129 cow. He was a bull calf that was born looking like a bull. It will be interesting to see how he develops. We hope he makes a good herd bull someday. 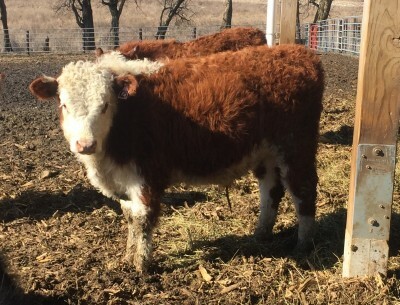 GML1 677-1098 (43437555): We bought this bull from Meitler Herefords in 2012. He is our current herd bull. We hope he will improve udders and provide good phenotype for our cattle. 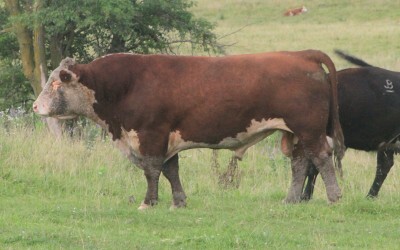 D Advance 934 (43035098): 934 is a past bull that was purchased from Deewall Herefords in 2010.